In 4 July 1946, an outbreak of anti-Jewish violence took place in Kielce and claimed the lives of almost 40 Jews. In fact, there were 42 Jewish victims of the pogrom as several of the injured later died in hospital1 . The victims included a child, a newborn, a pregnant woman, and youths – 16 and 17-year-old members of the kibbutz. These events were sparked by a rumour that a Polish child had been abducted by Jews. The pogrom began in the morning and lasted for 6 hour, but the anti-Semitic atmosphere and attempts to incite more incidents lasted until evening. Most of the turbulence took place at a building on Planty Street, where the accused Jews resided. The attacks on the Jews were provoked by the actions of the communist police and the army through their authentication of the child’s abduction and their incompetent handling of the aggressive mob that had gathered on Planty Street. In addition, it was the police and army who were the first to shoot at the Jews and their actions were seen as a justification for civilians to join in the violence. It is important to mention the impunity of those who committed the murders and looting against the Jewish community during the pogrom. It was shocking how utterly ineffective the city authorities, political parties and head of the Kielce security council, who at the time possessed the highest degree of authority, were in getting the situation under control. Residents of Kielce were involved in the murders from the beginning of the pogrom, but the second phase began when workers from the steelworks arrived in the afternoon. The hatred and cruelty displayed on that day are described in eye-witness accounts. We hear about innocent victims being shot, about young girls being thrown from a second story window only to be finished off by the crowd gathered below, about a young man being stoned to death. Most of the tragic violence happened near and around the building on Planty but Jews were being murdered in the entire city of Kielce as well as on trains passing through the city. Even such a brief account of the events in Kielce is enough to demonstrate how tragic the situation was. It had an enormous impact of Jews in all of Poland and on Polish-Jewish relations. For those who miraculously survived those extermination attempts in Kielce it was a confirmation of Poland’s anti-Semitism and an acknowledgement of the fact that Poland was not a safe place for them. The pogrom led to a higher rate of Jewish emigration from Poland, and it sparked even those who had previously decided to stay in Poland to leave. It should be emphasised here that the emigrating Jews took with them the worst possible image of Poland and Polish people. In order to understand the Kielce incident, it is important to recall the state of Polish-Jewish relations up to July of 1946, which had laid the groundwork for the eruption on the day of the pogrom. The killings in Kielce occurred just over a year after the end of the war. It is crucial to remember what had happened between Poles and Jews during the war and even in the period “just after the war”. The war had huge implications to Polish-Jewish relations. The policy of the Nazis clearly indicated that it was acceptable to strip a people of their rights and condemn them to extermination; that it was acceptable to eliminated “strange” and “other” peoples on the basis of “moral obligation”; and that these peoples could be robbed, humiliated, beaten, and murdered. Gradually, interaction between Poles and Jews was being limited and a public space into which the Jews were not allowed eventually became the normal reality of German-occupied Poland. The forced marking of the Jewish community with armbands with the star of David on them at every turn underscored the “alienness” of the situation the Jews found themselves in. And all the while anti-Jew propaganda was manipulating the population. The consequence of the Nazi policy was isolation, e.g. the establishment of ghettos resulted in Jews disappearing from neighbourhoods of which they had previously been active residents. An important aspect of the occupational reality was the legitimisation of corrupted attitudes and the empowerment on the part of the authorities of criminal actions towards the Jews, as well as the abuse by certain Poles of the Jews’ predicament. Equally important was the fact that such behaviour was permitted and that the representatives of the new authorities actively participated in the looting and killing. The war-time struggle with the difficulties of everyday life affected the character of Polish-Jewish relations tremendously. People looked out for themselves and became less concerned with the fate of others. This climate only reinforced the distance that had already existed between Poles and Jews before the war and discouraged any attempts to break free of indifference in the most dramatic war-time moments. We must also remember that these types of attitudes overlapped with the sentiments of indifference, animosity and reluctance which had been swelling even before the war. Other factors plaguing the occupational reality, such as the paralysis of civic development and the increasing isolation, contributed to the divide between Poles and Jews. 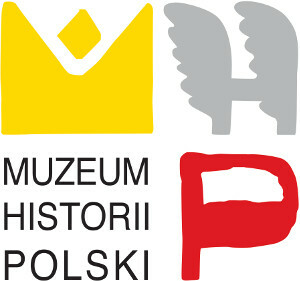 An important aspect of the war-time relations between Poles and Jews was the necessity of all-around aid from non-Jews. But for the most part, helping Jews was prohibited and punishable, even by death. But a rational justification for denying help did not make the refusal less painful, thus the situation “built” new relations which involved many extreme emotions. The appearances of Jews “on the Arian side” were very dramatic situations, and fear was a significant element in these “encounters”. The reactions of Poles to the Holocaust were varied. We most often hear about the extremes: Poles helping Jews or Poles taking part in the crimes against Jews. Yet it is worthwhile to mention the other cases which demonstrate the conscious state of the witnesses to the crimes. One of the accounts says that, “people are dwelling on various faults of the Jews in order to alleviate their grief and reduce the amount of pity they feel.”2 In another we read, “lightning bolts do not come down from the sky to kill the murderers of children, and spilt blood does not call for revenge. Perhaps it is true that the Jew is a cursed creature, against whom crimes go unpunished.”3 The awareness of death is ubiquitous in the accounts of the Holocaust. Death loomed for “being a Jew” as well as for sheltering Jews. The recollections are replete with memories of violence. An important part of the accounts concerning the attitudes towards Jews is the feeling of danger among those who decided to help Jews, as well as the feeling of helplessness and feebleness in the face of the gravity of the situation. The war also dictated that, “one’s life depended on whether he was a Poles, a Jew, a Ukrainian, or a Lithuanian.”4 A new understanding of the concept of “other” was a consequence of the events described here. One of the war-time accounts recalls a “feeling of strangeness which was not felt toward one’s own people.” Such an atmosphere caused the disappearance of compassion and empathy. The war-time reality brought about certain phenomena which shattered the prior order, such as the “mildening of death” as a result of public mass executions, life in camps, or from seeing the dead bodies laid out for public display. One of the most significant characteristics of the war-time generation is that they are ingrained with death but also accustomed to it. New phenomena in cross-ethnic contact also emerged during the Soviet occupation5 . And as was the case during the German occupation, these phenomena had a decidedly negative impact on the relations between the peoples inhabiting the eastern part of the 2nd Republic of Poland. The causes were manifold; ranging from the basic, connected to the difficulty of everyday life, through the most complicated, concerning the participation of certain people in the new Soviet power structure. The consequence to Polish-Jewish relations was the “assimilation of Jews” into the Soviet system and thus the assimilation of the hatred for Soviets with the hatred for Jews6 . The phenomena of 1939-1946 described above did not subside with the end of the war. “Just after the war” we notice the Polish and Jewish communities confining themselves to their own environments. A martyr mentality, exemplified by the statement, “The camps seemed like the apogee of cruelty so we never even thought twice about the ghetto”7 , emerged along with post-war migration. In a time when thousands of people were forced onto a “wandering path”8 , consolation amidst the difficulty of abandoning a “little motherland” was found in those with common experiences. People sought cultural, religious and historical commonalities. The political climate in Poland, i.e. the USSR-aided rise to power of the communists, also had a considerable impact on Polish-Jewish relations “just after the war“. Most Poles considered the issue as yet another partitioning of Poland or a new occupation. In respect to Polish-Jewish relations, this belief led to the Jews being identified as the ones responsible for the arrival of the new, unwanted, communist authority, and set the stage for more seemingly-justified criminal behaviour. It is a fact that some of the Jewish leaders and part of the Jewish community supported the new authority, yet some Poles extrapolated this to mean that the entire Jewish community supported the Soviets. This bred a negative opinion of the Jews. The change in power also ushered in an environment of crime and violence. The depravity of the authorities posed a huge problem – communist police and the army took part is anti-Jew demonstrations, often going unpunished. That aside, the new “just after the war” reality meant looting, robbery and murder on a day to day basis. These tensions affected the Jews enormously. By July of 1946, attacks on and murders of Jews were occurring in all of Poland. Anti-Jewish riots and attempted pogroms took place in Rzeszów, Tarnów, Kalisz, Lublin, Paczewo and Kolbuszowa. In august 1945 one person was murdered during a pogrom in Krakow. The motivations behind these eruptions were various: robbery, anti-Semitism, the activity of certain Jews within the communist system. Occasionally, rumours of ritual killings acted as the pretext for anti-Jewish uprisings, as was the case in Kielce. However, in spite of the above mentioned causation, it was of no consequence to a community so crippled during the war whether the murders were motivated by robbery, by an organised initiative, or by the desire to eliminate an entity which was believed to be plotting against Poles. To the Jewish community living in the shadows of the Holocaust, the killing of Jews elicited unequivocal connotations. In order to understand Polish-Jewish relations after the war it is necessary to consider the stance of the main public bodies of Poland with respect to the problems which were occurring at the time. The communists, who wielded the greatest degree of power to shape public opinion (censorship, media monopoly), focused all of their energies on politics. The subject of Jews also arose in this context. Aside from declarations of sympathy for Jewish comrades or proclamations of compassion for the Jewish community in light of the Holocaust, the communists exploited Jewish issues for the fulfilment of their own political agendas, e.g. the battle with anti-Semitism was used as a pretext for eliminating political rivals, who simply had to be accused of antiJewish activity. Such tactics were employed in order to compromise peoples’ confidence in the anti-communist opposition, yet they had the side-effect of ultimately strengthening the negative sentiments associated with Jews in post-war Poland. The entanglement of Jewish issues in politics forced the remaining participants in the political scene to take action, especially since some of them (the opposition, the Catholic Church) were being blamed by the communists for the anti-Semitic uprisings. Retaliation to the communists’ manipulation was yet another feature of the political tug-of-war that further compromised the chances of a genuine approach to the hostile and unfriendly attitude maintained by a portion of the Polish society towards Jews. Jewish issues were apparent also in underground independence movement. Here, the attitude towards Jews was a factor of, on the one hand, the complicated political situation in Poland, and, on the other, the political provenance of the various groups. A part of the problem resulted from the fact that some of the groups were involved in initiatives of which the victims were Jews, on account of them being seen as loyalists to the new authorities. To some degree, these complications were linked to the problem of “criminality”, resulting from the impossibility of returning to a normal life, among a portion of the underground fighters after the war. In addition to the above mentioned political spheres which had influence over how and what Poles felt about their Jewish fellow citizens, it is necessary to talk about the Catholic Church. The Church’s stance after World war II was largely informed by the post-war political reality and experiences during the war. The communist ideologies and administrations were scorned by the Church and it was believed that a confrontation was inevitable. As a result, the fate of the Jews was a marginal concern in the Church’s post-war initiatives. But the attitude were mixed within this margin: indifference, sympathy and denunciation of the crimes, but also a political exploitation of Jewish issues, such as negative and hostile reports about Jews. Post-war Polish-Jewish relations is one of the most difficult subject in recent history. Unfortunately, hostility and hatred towards Jews is a significant part of these relations. Post-war anti-Semitism thrived on the separation and isolation of the Polish and Jewish communities, and continued to develop within the difficult and complicated conditions after the war. Finally, the exploitation of Jewish issues in political manoeuvring prevented the possibility of a rational discourse on the subject. Most of the phenomena described here are apparent in the days of the Kielce pogrom. The hatred towards Jews, the perception of them as “alien” or “other”, and the conviction that they pose a threat to Poland drove some Poles to take part in the blood-shed. It let others stand by and watch with indifference or voice indictments against the hated Jews. It convinced others still that Jews are bent on killing Polish children. The feeling of impunity and a lack of conscience were parts of that reality. After the pogrom, the Polish sociologist Stanisław Ossowski, wrote in his essay on the Kielce tragedy that it, “to a large degree […] was a result of conditioning during war – the murdering of Jews was no longer something extraordinary. Why should those people be concerned by the deaths of 40 Jews if they were used to the idea that Hitler had murdered Jews by the millions?”9 The indifference on the part of the communist authorities, in whose hands lay the responsibility of preventing the crimes, in not surprising either. The potential of utilizing the crime for political gain, which was already being done two days after he pogrom, was more important than the deaths of those people. In the aftermath of the Kielce tragedy, it was not the fight against anti-Semitism that was a priority, but the fight against political opponents (the manipulation of information, accusations, the polemics limited by censorship…). The fact that the Kielce tragedy became marred in politics cause the emergence of various stances on the issue. This was the case in, for example, the Catholic Church, which was convinced that it was the authorities who should have suppressed the uprising. The Church standpoint was mixed, expressing both sympathy and denunciation of the crime while at the same time describing the Kielce tragedy and post-war PolishJewish relations from the perspective of political changes that had taken place since the Second World War. In this description, the Jews were responsible for introducing communism to Poland. In some statements, a sincere belief was expressed that the Jews really abducted Polish children. What was lacking on the part of the Church in this dramatic moment was, above all, a consideration for the Church’s teachings about Jews, called by Isaac Jules “the teaching of contempt”. It is worth noting that the perception of Polish-Jewish relations “worked out” in the summer of 1946 was “frozen” until as late as the 1980’s due to a lack of access to archival resources and an impossibility of holding independent discussions. The contemporary discourse on the Kielce tragedy also has its limitations owing to our inability to accurately reconstruct all of the events of 4 July 1946, which results from the fact that some of the source material has been destroyed. But above all, and in spite of the historical accounts, we must remember that the pogrom in Kielce was a mass murder of 40 innocent people. 1.2-3 Poles were also killed during the pogrom. Their cause of death was gunshot. The circumstances of their deaths are unknown. 2.Życie i Zagłada Żydów polskich 1939-1945. Relacje świadków [The Life and Extermination of Polish Jews 1939-1945. Witness Accounts. ], compiled and edited by Michał Grynberg, Maria Kotowska, Warsaw 2003, pp. 42-43. 3.F. Tych, Długi cień Zagłady [The Long Shadow of the Holocaust], Warsaw 1999, p. 43. 4.K. Kersten, Między wyzwoleniem a zniewoleniem. Polska 1944-1956 [Between Emancipation and Captivity. Poland 1944-1956. ], London 1993, p. 11. 5.On the basis of an agreement between the 3rd Reich and the USSR (Molotov-Ribbentrop Pact) on 17 Sept. 1939 the USSR took control of half of pre-war Poland. The annex by the USSR was followed by repression of Polish citizens. The Soviet occupation lasted until the outbreak of the Soviet-German War in June 1941. 6.M. Wierzbicki, Stosunki polsko-żydowskie na zachodniej Białorusi w latach 1939-1941[PolishJewish Relations in Western Belarus 1939-1941.] [in:] Wokół Jedwabnego. Studia, ed. P. Machcewicza, K. Persaka, Warsaw 2002, p. 154. 7.B. Engelking, Zagłada i pamięć [The Holocaust and Memory], Warsaw 1994, p. 247. 8.In the case of Polish citizens, one quarter of the people lived in a different place than they did in the period before 1939. 9.S. Ossowski, Koszula Nessosa [The Shirt of Nessus] [in:] “Kuźnica”, 1946, no. 38(56). 10.K. Kersten, Polacy. Żydzi. Komunizm. Anatomia półprawd 1939-1968 [Poles, Jews and Communism. An Anatomy of Half-Truths 1939-1968], Warsaw 1992, p. 101.